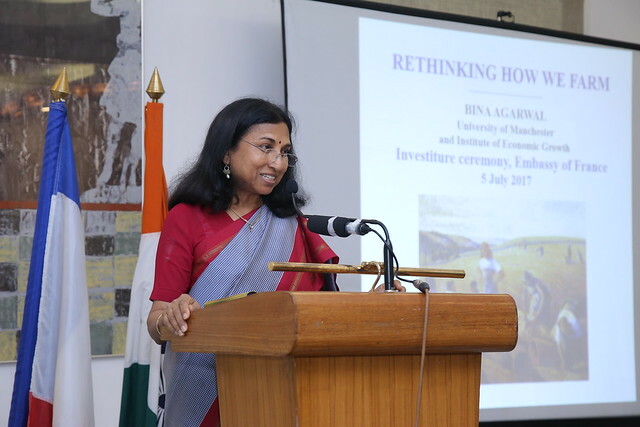 Bina Agarwal (former President IAFFE) was conferred the prestigious French civilian distinction, Officier de l’Ordre du mérite agricole (Officer of the Order of Agricultural Merit) by H.E. Mr Alexandre Ziegler, Ambassador of France to India, on 5 July 2017 in New Delhi. The honour comes in recognition of her path-breaking and deeply insightful research in the fields of sustainable development, food security, gender and land rights, environmental governance, and the political economy of agrarian change. 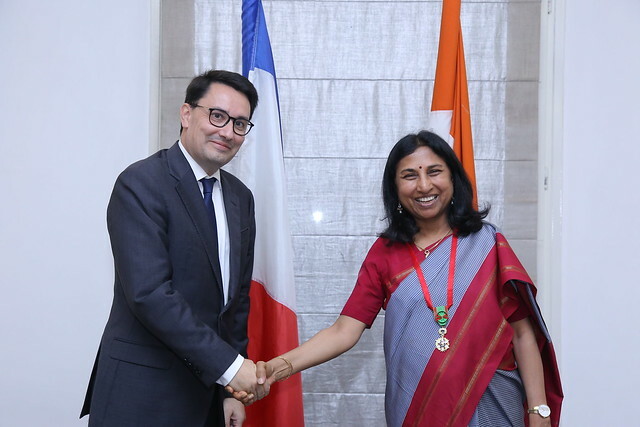 On the occasion, Ambassador Alexandre Ziegler said, “ Bina Agarwal’s pioneering work on gender inequality in property and land, as well as on environmental governance, has had global impact. These issues are of significant concern internationally and have now been included even in the UN’s sustainable development goals. I am delighted to bestow this honour on her on behalf of the French government."